At the beginning of the month, Johnzelle and myself decided to do a Mental Health Link Up to raise more awareness on Mental Illness and our own experiences. The post for today touches on the struggle that comes with mental health, how we as individuals view our own needs and the stigma that has been prevalent in our journeys. This is my first ever collaboration with another blogger and I couldn’t be more proud to have done so with someone I now view as a big brother, friend and just an all round awesome person. Here’s Johnzelle’s Guest Post talking about his personal journey with mental health. I’ve been to therapy on different occasions over the years and I work as a therapist, so I know firsthand how much courage it takes to put yourself out there and to share your inner turmoil with a complete stranger. And that’s just within the confines of a confidential therapy relationship. To the outside world, it is often more difficult to open up about our struggles. We live in a world in which we can present our most polished selves through social media. Today, I’m gonna talk about some barriers that I’ve faced in seeking help for my mental health struggles. I currently author a blog on which I openly discuss topics related to mental health; however, I haven’t always been as forthcoming as I am now. I’m an introvert, so I am guarded with how much of myself I give to others. I have also been hurt a lot by loved ones and peers throughout my life, which has resulted in me being fiercely independent and generally standoffish. My mental health struggles were at their worst when I was in my junior year of college. I was having up to 10 panic attacks daily and every day felt like a life-draining battle. Around that time, I sought therapy and medication management for the first time at my college’s mental health and student health departments. This was the first time I disclosed my struggles with depression and anxiety to anyone. In that season, there were a lot of tears and recovery was one of the most difficult things I had ever done. I eventually learned how to recognize what was within my control and what wasn’t. When I let go of trying to control life’s circumstances, my life seemed to shatter before it could be put back together again. Trusting others to help me was a foreign concept and although it was beneficial, it was tough. During that time, my so-called friends did not understand or support me when I let them know what was going on. My family did not know enough about mental health to provide the support that I needed. I felt very isolated during that time. It amazed me how comfortable I became relying on professionals during that dark time. As I look back, I can see that I was very biased about mental health issues. It’s hard to acknowledge that something is wrong when you’ve had to be independent for so long. The stigma I faced wasn’t so much from other people, it was from my own prejudices. While the mental health services on campus were supportive and encouraging, that has not always been my experience. Last winter, I needed to go back on anti-anxiety medication due to an increase in panic attacks that resurfaced after a long period of remission. My primary care physician was not very empathetic or encouraging during that appointment. Luckily, I’m assertive and know how to advocate for myself. You may have to try out a few therapists and/or doctors before you find a good fit. So don’t get discouraged if the first one doesn’t work. Think of it like test-driving cars. Do you always buy the first car you look at? Give yourself credit. It takes a lot of courage to ask someone for help. Your life can and will get better. Only you can impact this world in your unique way. You matter. Speaking up about mental health struggles is hard but worth it. Remaining silent can diminish your quality of life and could even be deadly. Reach out and/or be a friend. 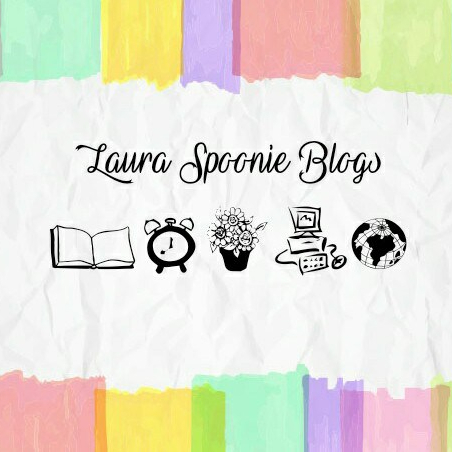 Thanks, Laura for letting me share this guest post on your blog. Be sure to look for Laura’s post on this topic over at my blog, Perfectly Imperfect. You two are amazing! Can we please have a meet-up now? I really appreciate mentioning internal stigma, that can be a real factor. Great post!! Thank you for reading & the support. Makes it so much easier when we’re not alone in our battles.